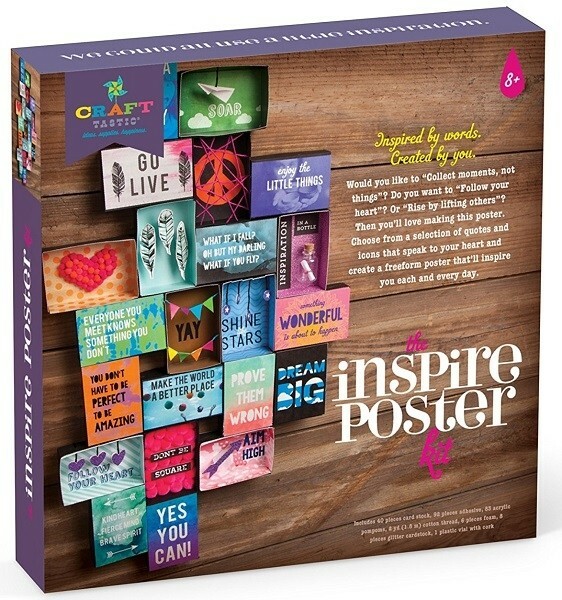 "Inspired by you and created by you" — that's the whole idea behind Craft-tastic's Inspire Poster Kit. 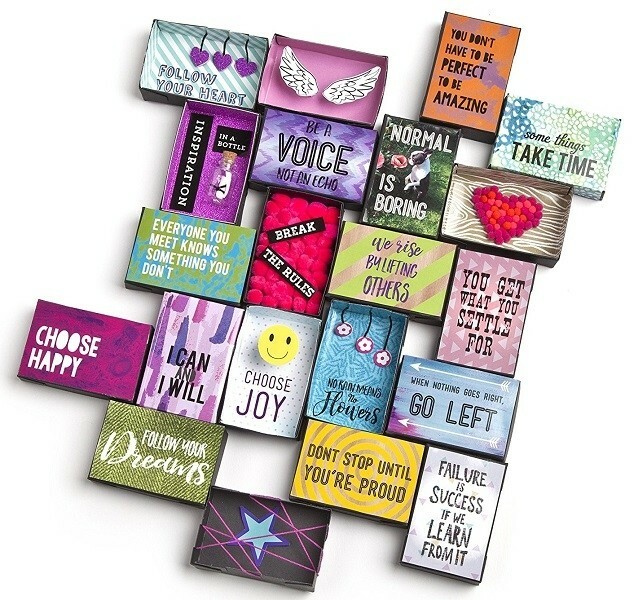 It's a freeform poster that lets kids choose words and phrases that speak to their heart, plus fun materials, in order to make — and tell — what inspires them. Whatever they aspire to, here's a daily reminder. 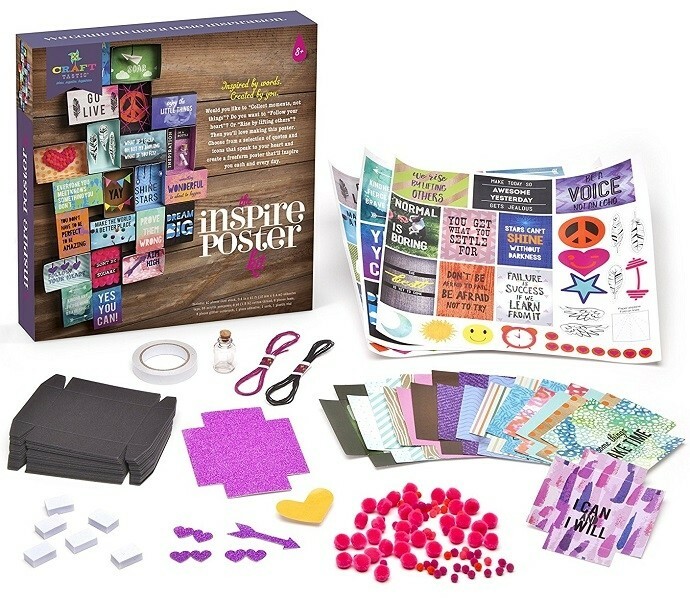 This kit comes with 40 pieces of card stock, adhesive tape, 83 acrylic pompoms, 2 yards of cotton thread, 6 pieces foam, 8 pieces of glitter cardstock, 1 plastic vial with cork, 22 boxes, and 36 quotes and a variety of other stickers that she can use to make her own 3D inspirational poster. 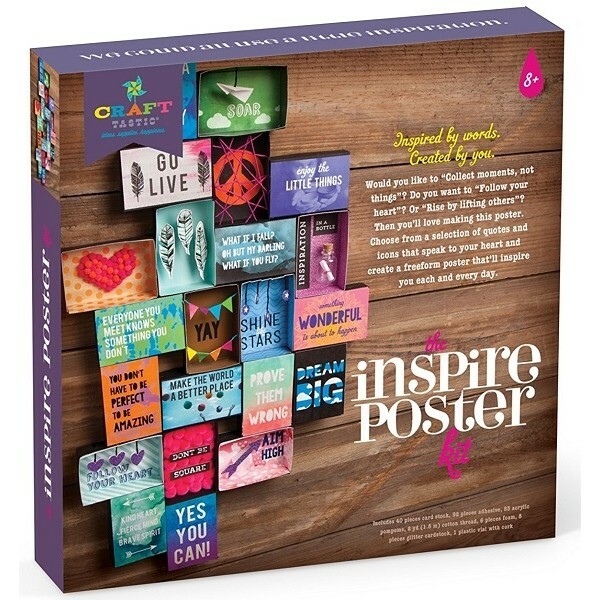 For another personalized poster kit to inspire your Mighty Girl, check out the Empower Poster Kit for ages 8 and up. You can also get the Who We Are Family Poster Kit for ages 6 and up.